Although malas (or mala beads) have become a hipster accessory, they are primarily a meditation tool. A meditation tool that I absolutely love and recommend. A mala is a strand of 108 beads connected by a larger bead sometimes referred to as the guru or bindi. Why 108? Because that is the magic yoga number–obvi. Read Eat, Pray, Love once in awhile. But here’s a link if you want to learn more. Warning: it gets pretty trippy. Rotate through each bead in the meditation as a reminder of the intention, breath, or focus. It’s kinda like a rosary. You know, without all the Hail Mary’s, Lords Prayers, and guilt. Your mala is also a handy timer. You know 1/4 of the mala takes fifteen minutes? You don’t have to be jolted out of your groove by an alarm, you just have to get to the guru. Boom. Hold the mala in your right hand between the ring and middle finger. Use your thumb to roll the beads through your fingers as you meditate and to hold the mala in place. Using your index finger means you worship the devil. Just kidding. Your index finger represents your ego, so it’s better to keep it out of your meditation, you crazy narcissist. Yogis believe in a constant exchange of energy between the environment and your mala. A deep meditation gets ‘saved’ into the mala and will be transferred to your fingers during a more trying meditation. When you get a mala, ask your guru to bless it by using it in his/her daily meditation. This will give your mala the power of your guru. After the blessing, no one but you is to touch the mala. It’s not even allowed to touch the floor. 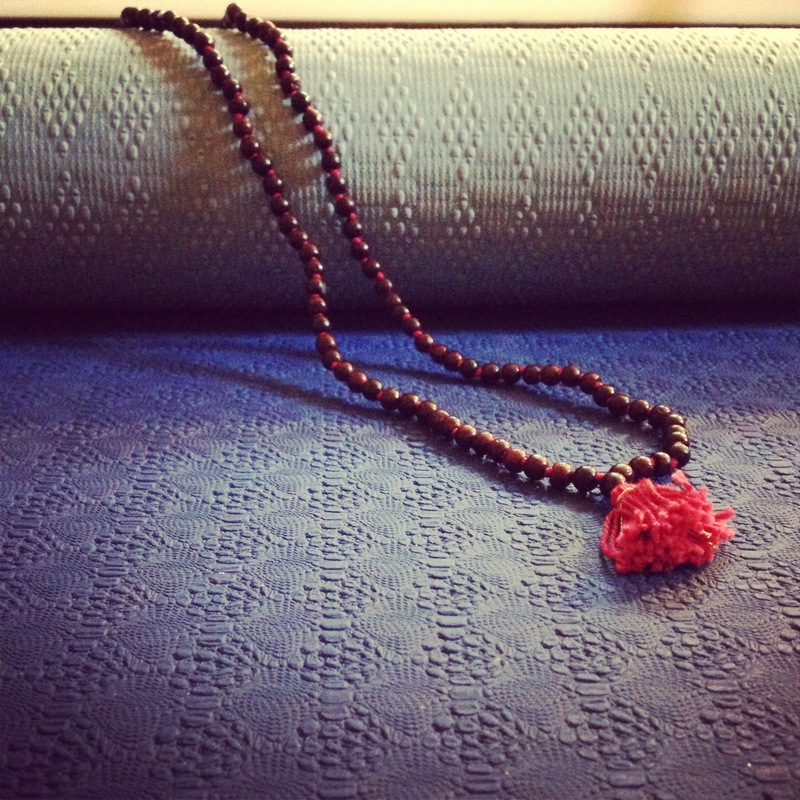 Wrap your mala in soft cloth and leave it in a safe place until the next time you use it.